Looking for a way to geotarget Divi content at your WordPress site based on IP geolocation? 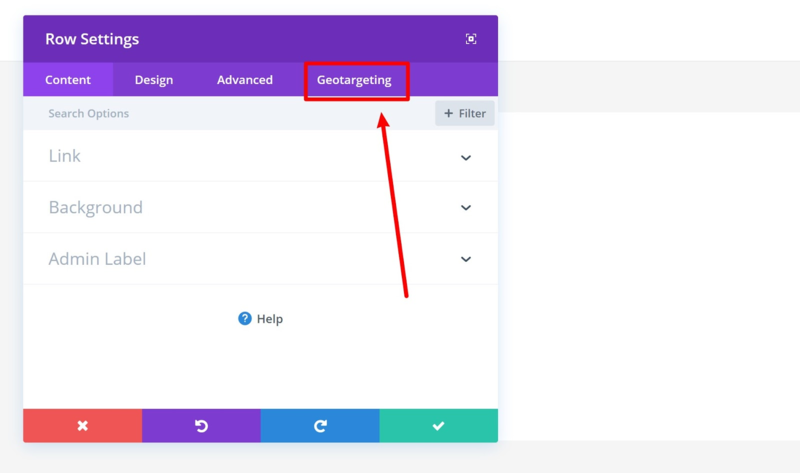 In this post, you'll learn how to geotarget any content you've built with the Divi Builder (using either the Divi theme or the standalone builder plugin). That is, you can show one module to visitors from Spain, and another module to visitors from the rest of the world. Or, you can also geotarget sections and rows, too! Better yet, you'll be able to do all of this without leaving the regular Divi Builder interface that you're already familiar with. To geotarget your Divi Builder content, you'll use the Geotargeting Pro plugin from Geotargeting WP. 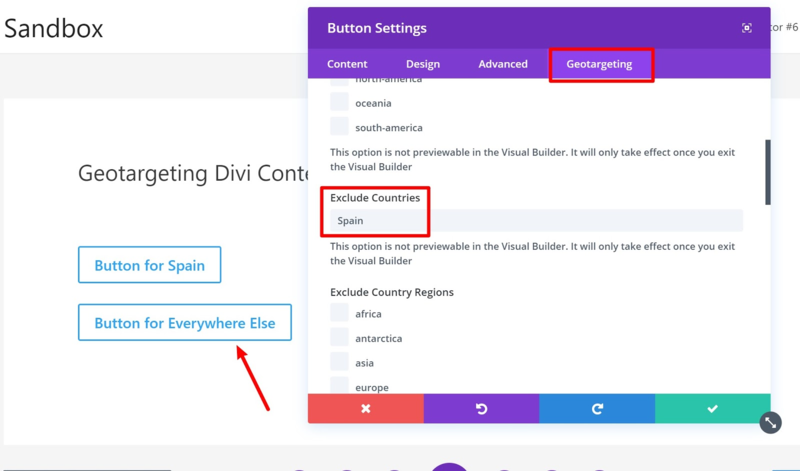 Geotargeting Pro includes a built-in Divi integration that lets you add geotargeting to your content right from the regular Divi Builder interface. Or, you can geotarget entire pages that you've built with Divi. 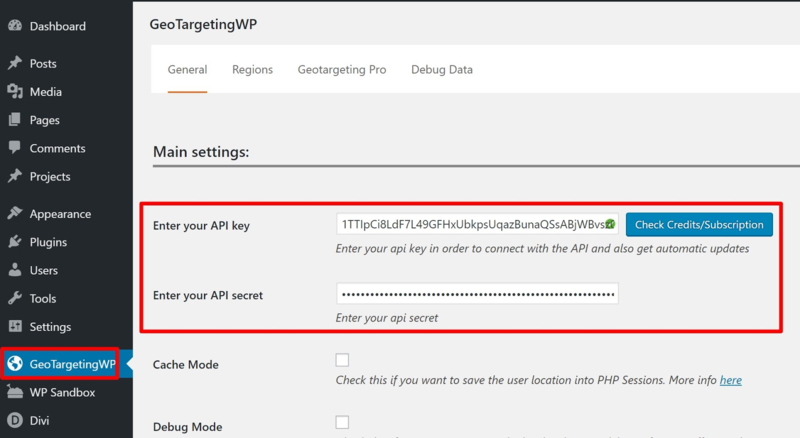 In order to use the Geotargeting Pro plugin, you'll need to sign up for the Geotargeting WP service. 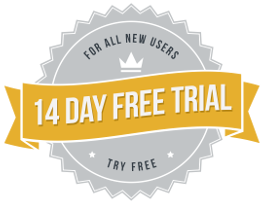 While Geotargeting WP is a paid service, you get a 14-day free trial, which means that you can follow along with this tutorial 100% for free. To get started, head to the Geotargeting WP signup page and create your account. Remember, you get a 14-day free trial, so you won't need to pay anything. Then, download the Geotargeting Pro plugin from the Geotargeting WP website and install the plugin at your WordPress site. After you've activated the plugin at your WordPress site, go to the API Keys section of the Geotargeting WP site. Make sure to save your changes. Then, you're ready to geotarget Divi content! 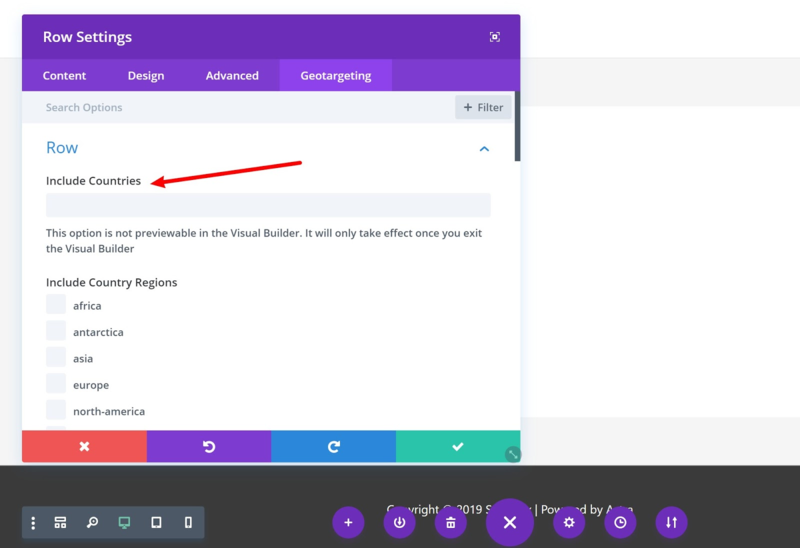 Next, open the Divi Builder for the content where you want to add geotargeting. Now, visitors from Spain will see the first button but not the second button. And it will be reversed for visitors from anywhere outside of Spain. And that's it! Using this same approach, you'll be able to geotarget as many Divi sections, rows, or modules as needed. 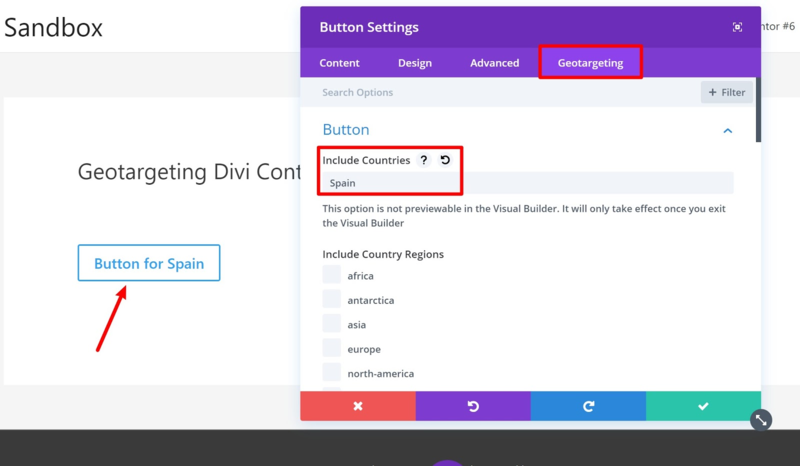 If you want to geotarget entire posts or pages built with Divi, check out our general guide on how to customize WordPress content based on location. Any Questions About How to Geotarget Divi Content? That wraps up our guide on how to display different Divi content based on a user's location. If you have any questions, leave a comment and we'll try to help!